My house has not escaped the Frozen phenomenon. Even if we were a few years behind, my son has been obsessed with the movie Frozen for a little while now. Weirdly enough, he discovered the film during the summer, but the thought crossed my mind then how perfectly winterized cupcakes would fit in with the rest of my designs. Now that the rush of the holidays has ended, I have had a little time to be able to change up the design of my traditional cupcake treats and make a few tweaks to create some brand-new quilling paper winter snowflake cupcakes for my Etsy shop! I replaced my usual bold or pastel colored cupcake wrappers with some cool winter tones like silver, turquoise, and a pale blue. I was really drawn to any color that reminded me of Elsa’s castle! And, of course, instead of a cherry or another piece of fruit garnish, I had to add a super simple snowflake as a cake topper. They are absolutely wintry from top to bottom! These new Frozen-inspired cupcakes have joined the rest of my inventory, and are available to ship now in my Etsy shop. And I think these cupcakes are the perfect accent to winter home decor. They would totally fit right in with any of the ideas I found for my 11 Ways to Decorate With Paper Snowflakes All Winter Long Post. Enjoy! Are there any other winterized snowflake colors you’d like to see made into cupcakes? 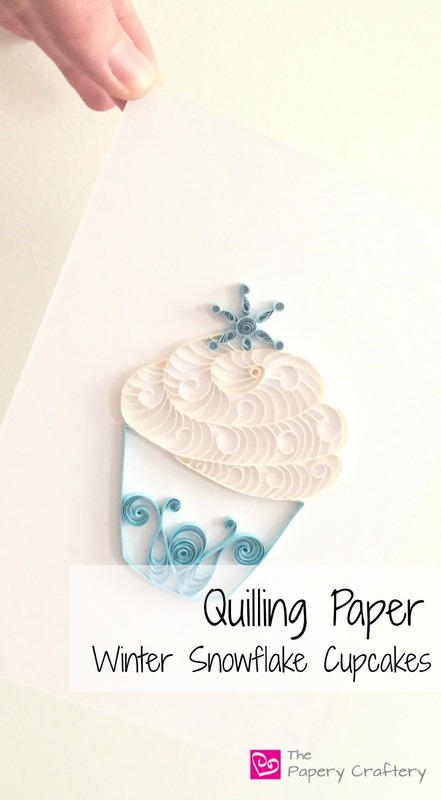 Leave a comment below to make some suggestions or, as always, feel free to email me at Meredith@ThePaperyCraftery.com or through a convo in Etsy to request your own custom quilling paper cupcake at any time! I’d love to be the person to take your winter home decor to another Frozen level!